The complete online guide to the Montgomery County area, with accommodation, real estate, business and local information. iboats.com is one the top providers of low cost boat covers and accessories. Starting in 1998, iboats.com has become the largest full-featured marine-related Internet site in North America, serving both recreational boaters and marine manufacturers..
Alaska Diesel Electric - Manufacturer of lugger marine diesel engines. American Nautical Services -a world class chart agent for nautical charts, books, flags, instruments, and misc. ship's stores. Allied Metrics - OIL SEALS - is a full service manufacturer and distributor of quality hydraulic seals, oil seals and pnenumatic seals. AquaSports Fishing Boats - Quality, reliability and durability offshore fishing boats since 1964. Arima Marine International, Inc. - A range of high quality fishing boats. Baja - The hight-performance boat. BassCat - Bass Boats since 1971. Billet Speaker Covers - cover your existing speakers with durable 100% CNC machined covers. Blazer Boats - High Performance bay boats and bass boats. BlueWave Boats - Bass & Bay center console boats - 30 Yrs of boating experience. Boat Accessories Plus - Online boaters catalog at very competitive prices. Boat Mart USA - Your online marketplace to buy and sell new & used boats. BoatersWorld - parts and accessories for all size boats including electronics, fishing equipment, water sports and more. Boating Links Directory - Web Directory, find what you're looking for! Boatsville Used Boats - New and used boats for sale by individuals and brokers. Ads stay online until you sell. Bertram Yachts And Sport Fishing Boats - Sport Fishing Convertibles 39 - 60 feet. Boston Whaler - Boston Whaler makes a complete line of unsinkable boats ranging from 11 to 28 feet for recreational and commercial use. Brick And Stone Mason Contractors - Serving Conroe, Lake Conroe, The Woodlands. Brucato SVS - Stackable velocity intake system for Mercury and Mariner Marine EFI outboard motors. Cougar Custom Boats - We are talking POWER boats! Crownline Boats - Bowriders, Cuddys and Cruisers. Very stylish. Champion Bass Boats - Quality boats since 1975. Chaparral Boats - Award winning deck boats. Chris Craft - Legend Has It! So Can You. Cobalt Boats - Family runabouts. "Where others are content to be boat assemblers, Cobalt artisans handcraft the boat from metalwork to upholstery, from electrical systems to canvas tops." CorrectCraft Boats - Waterskiing galore. Crew File: - A free yacht and boat crew service. Crew looking for boats or boats looking for crew can post and search for free.Post pictures and get autonotification of updates. Custom Fishing Rods by CountryKat Fishing - Custom fishing rods built by CountryKat for catfish, muskie, walleye, salmon, bass and crappie. Handmade rods constructed from the finest quality components. Custom Marine Concepts - Houston Texas - Custom made boat tops, boat leaning posts, boat cooler racks, boat rod holders, marine aluminum welding and fabrication. Discount Marine Electronics - Wholesale Prices Direct to the public. Simply the BEST WAY to purchase Marine Equipment. Fishing Gear - Boating and Fishing accessories such as boat seats, fish finders, and much more! Four Winns Boats - A wide range of runabouts and cruisers. Gambler Bass Boats - Bass boats with power. A tradition of excellence. Garmin International - You never need to be lost again. Not with a Garmin GPS. Go-Devil Hunting Boats - The FourWheel Drive Of Marine Engines. Grady White - Offshore & inshore tournament fishing boats. Hanson Marine Engines, Inc. - Prototype engine for recreational boating and fishing. Hatteras Boats - Leading name in luxury motoryachts. Inflatable Boat - Kodiak Outback offers great prices on quality inflatable boats, kayaks and hundreds of outdoor comping items. Go2Marine.Com - Marine products and hard-to-find boat parts selectable from exploded view diagrams, technical drawings, and catalogue. Certified marine mechanic support. 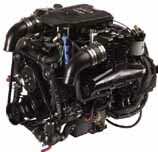 Honda Marine - Online brochure with full line of Honda engines. Imtra Marine Equipment - Imports and manufactures a range of marine products including anchor windlasses, bow thrusters, pilot chairs, wipers and lighting products, and more. JAM Marine Inc - Can't Find It?-We've Got It! Your source for all your boating needs. Marine Electronics, Marine Parts & Supplies. We carry all the popular manufactures - Garmin, Furuno, Lowrance, Raymarine, & More.We Export World Wide. Landau Boats, LLC - Building boats for more than 25 years. Landau produces one the highest quality pontoon, aluminum bass and deck boats available today. Larson Boats - Producers of runabouts and motor cruisers - 85 years of successful business. Lund Boats -59 models of recreational fishing boats! Marine Parts Source - Boat Parts - The Marine Parts Source website displays the real-time availability of inventory and pricing information for marine and boat parts as well as boat engines. Marysville Marine Distributors - Boat Engines - We are a proud wholesaler of quality marine boat engines, generators, and replacement boat parts for over 30 years. MarineNutz.com has the marine and boating supplies for everyone needs, including accessories, boat covers, marine electronics, bilge pumps, safety equipment, repair and maintenance supplies, outboard brackets, trailer parts, cleaning supplies, marine paint and repair, deck hardware, motors and fuel steering and controls, jet pumps, mooring and maintenance supplies. Maxum Boats - Wide range of sport boats, cruisers and sport yachts. Mako-Boats - A tradion of excellance in center console boat building. Malibu Boats - An impressive ski boat. Great website. Maverick Shallow Water Boats -Mavericks are the result of serious anglers designing shallow water skiffs for serious anglers. McKee Craft - Manufacturer of the unsinkable boat! The ultimate fishing boat. Mercury Marine - Manufacturer of Mercury outboard boat engines and MerCruiser inboard and sterndrive boat engines. Minn Kota Trolling Motors - Manufacturer of electric fishing and trolling motors. Monterey Boats - Cruisers, deck boats, cuddys, and bowriders. Nimbus Boats - Renowned Swedish powercruisers. Stylish and seaworthy. Nissan Marine -Nissan Outboard products, technical information and deal locations. Party Camper Pontoon Boats - A boat that is loaded with features which include: Sleeping for up to six people, a stove, galley sink, head, shower, lavatory and many other amenities. PowerTech Marine Propellers - Manufactures stainless steel propellers. Pro-Line Boats - Fishing boats 17-32 feet. Inboard, Outboard and stern-drive models, including center console, walkaround, and cuddy cabin configurations. Propco Marine Propellers - manufactures and sells aluminum and stainless steel marine boat propellers. Prop Tracker Boat Propeller Performance Systems - Prop Tracker is a totally new design of computerized digital propeller equipment used to improve the performance of boats. Ranger Boats - Bass and other fishing boats with legendary safety, performance features and unmatched quality with a consistently high resale value. Refurbishing Boat Forum - Refurbishing boat forum for opinions regarding boat repair and maintenance - Refurbishing boat forum is discussion board with lots of ideas, tips, tricks and valuable information regarding boat maintenance. Ryan Falconer Racing Engines, Inc - Designer and builder of racing engines. Sabre Yachts - Motoryachts and sailboats "Crafted In The Maine Tradition"
Sea-Doo and Jet Ski PWC Engines - Short Block Technologies offers a complete line of remanufactured engines for your Sea-Doo, Jet Ski, and other personal watercraft. Star Marine Depot - Marine supplies, parts, electronics and accessories. Stingray Power Boats - Powerboats from 18 to 24 feet. Stratos Boats - Freshwater and bluewater fishing boats. Suzuki Marine - Outboard motor manufacturer. Information on fishing tournaments, accessories and apparel. R & R Tackle Company - Quality Painted Spoons - Silver Scale Series -Hex Glow Top Series -Halo Glow Series - Fine Quality Painted Spoons. TACKLEMAX - Complete line of fishing tackle with Bass pro shop for fishing rods, reels, lures, and fishfinders, located in The Woodlands, Texas. Thi Teak Marine Fittings & Woodwork -Manufacturer of Superior Teak Yacht Fittings, marine woodwork and teakwood boating furniture since 1972. Custom teak woodwork a specialty - catalog online - order online - quality guaranteed. Tiera Yachts - Open, Express and Convertible models with inboard power from 29-50 feet. Tiger Performance - Products and services for race and high performance boating. Titan Titanium Hose Clamps -Offering 100% titanium hose clamps that will never corrode or rust. Fast shipping and we make it easy to order online. Tracker Marine - Fisher Boats - Tracker Boats -Nitro Boats - Kenner Boats - ProCraft - SeaCraft - Sun Tracker. Used Boat Finde r - The Easiest way to buy or sell a boat online. VIP Power Boats - Fish & Ski, Runabouts, Deckliners, Bluewater. Volvo Penta Corporation - Designer and manufactureer of specialist engines and drive systems for marine and industrial use. Wooden Boat Restoration - Thomas Fabrication And Boatworks - Award winning wooden boat restoration...Repair replanking and refinishing. Traditional and New Technology boat building.